So, let's get to work and take care of all dependencies needed to build mediatomb from source. This procedure was successfully performed on Ubuntu 8.04 and 8.10.
ffmpegthumbnailer is a small tool which uses ffmpeg to generate video thumbnails. These thumbnails will be displayed by mediatomb while you're browsing your video collection. [Updated on 2008/01/02] This supposes that you have built ffmpeg. If not, you may be missing a number of libraries: please check the comments below for solutions. These two libraries are used to browse DVD file structures: mediatomb needs them to read and stream DVD ISO images. Since we're going to build the very latest mediatomb version, let's make sure we have up to date libs as well. You do need to build and install libdvdread before libdvdnav, or the latter won't link. Sqlite3 is one of the two databases that mediatomb can use (the other is mySQL). Libexif is needed to read tags stored in some digital pictures. Libmp4v2 is needed to parse mp4 files. Libmagic helps to find the MIME type of a file based on the 'magic number' usually stored in the file header. Libcurl is used to fetch web content using HTTP requests. This is how mediatomb can fetch YouTube content and stream it. As you can see, we have pretty much enabled everything (again, sqlite3 is preferred over mySQL, and taglib over id3lib). Support for SopCast and Weborama isn't completely ready yet, so it's probably safer to leave them out. All right. Let's power up the PS3 and see if it can see the mediatomb server. Thanks for this, linking to it from my blog. configure: error: +Could not find ffmpeg. Please update PKG_CONFIG_PATH to point at location of ffmpeg pkgconfig files directory. and that will tell you what packages you need to download. Make sure they are the dev ones! Hi Dean, you're right: I assumed ffmpeg was already installed. I'll update the entry accordingly. Cheers! I've really enjoyed your blog and using your howtos. I'm having a problem compiling mediatomb though. mediatomb I receive the following. or the source directory for what I'm compiling? yes, it's the same problem as the other person. You need to remove any previous copy of these libraries (.a & .so). They have probably been installed using APT, so you may first try to remove them with 'apt-get remove libavcodec-dev', etc. If that doesn't work, just look for the offending files in /usr/lib and delete them (or move them to a backup directory if you're worried). Then just run 'ldconfig' to refresh the library cache and you should be fine. configure: error: +Could not find ffmpeg. Please update PGK_CONFIG_PATH to point at location of ffmpeg pkgconfig files directory. What gives...When I "./configure" mediatomb, it says it finds ffmpeg. Why doesnte ffmpegthumbnailer suddenly? @Magnus: looks like you have the same problem as Dean (1st comment on this entry). Please try his suggestion, it should help. what do I need to add to the config.xml to make mediatomb play DVD ISO files? 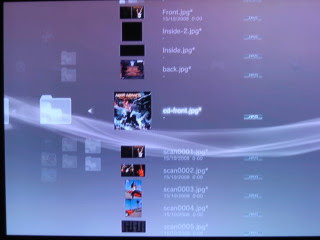 to the mappings section, but that did'nt help... My PS3 shows iso files on mediatomb as "incompatible data". As there's an extra import script (import-dvd.js) I assume a new category should show up if mediatomb recognizes an iso file? Maybe you could post the lines I need to add/edit in the config.xml? 'sudo apt-get remove libavcodec-dev' and removing the .a and .so files in /usr/lib did the trick. Couldn't have done it without this blog. And I learned a LOT in the process, thanks a bunch JS. @Stefan: AFAIK, this is not fully functional yet. 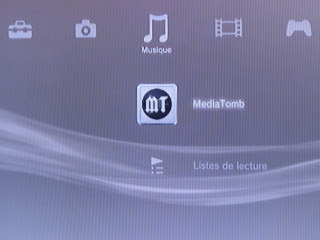 The mediatomb guys will try to complete for the 0.12 release. i.e., ../dvdnav/.. instead of ../dvdread/..
Have any clues on how to fix it? Can you run the same command and post the output? sorry it took a bit to get back to you. I appreciate the fast response. After the initial tries it started spewing errors about gcc 4.2 and a bug. Rebooted the system and tried to compile ffmpegthumbnailer again and it succeeded! I now have all working that should be working. 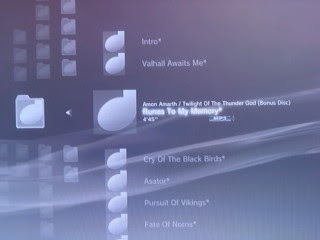 Not sure if thumbnails are supposed to show on the PS3 or not but I do have flac transcoding. Did I get you right when you said the ISO stuff is still not functional yet for the PS3? Thanks for this how-to all is working well except I can't seem to get mediatomb start at boot, any ideas? I have tried reinstalling libavcodec without any luck. Any ideas? Thanks in advance! @Bert: one way to do it is "System" > "Preferences" > "Sessions" and add mediatomb to the list. @js I'm running mediatomb on a server, so adding it to sessions isn't an option. I did find some startup-scripts but somehow they don't do the job. So if someone has it working, please post it. I'm getting this error when running mediatomb. Fixed by recompiling/installing everything with --prefix=/usr/local instead of --prefix=/usr. Had to go back and reinstall a lot of other stuff for /usr/local as well, but I should probably have done that a long time ago. Almost everything is working ok.
Somebody asked for a /etc/init.d startup service script. Here is mine for Ubuntu 8.10 (based in te script from package mediatomb-daemon, slightly modified). It works fine for me. Configuration un /etc/mediatomb/config.xml. Create autostart/autostop links with "sudo update-rc.d mediatomb defaults"
log_warning_msg "$NAME: Not starting $DESC." log_warning_msg "$NAME: Disabled in $DEFAULT." log_failure_msg "$NAME: The user '$USER' specified in $DEFAULT is invalid." "$NAME: Trying to add the multicast route"
log_warning_msg "Failed to add multicast route. skipping." "$NAME: Trying to delete the multicast route"
"Failed to delete multicast route. skipping." ERROR: DVD Image requested but title parameter is missing! the include path for mp4 support seems wrong. Its looking for mp4.h but no package provides that header file on Debian. Shouldn't this be mp4v2.h? in the terminal i can see a %in %out message beeing displayed twice. AFAIK, ISO support isn't there yet (see http://juliensimon.blogspot.com/2009/01/status-update-on-mediatomb-012.html for more). Transcoding MKV is tricky (I don't do it myself). You should try converting the file from the command line using ffmpeg: if it doesn't work, then it's an ffmpeg issue, not a mediatomb issue. ffmpeg seems to be working correctly. This is a great tutorial, and I've used it to install Mediatomb with 9.04 Jaunty. But I'm wondering how to install it so Mediatomb runs as a daemon, instead of forcing me to start it manually. There is nothing inside /etc/default/mediatomb and no program in the init.d folder. I'm also worried that if I install the daemon from the repository, it will overwrite this compiled version. Any suggestions? I am new to ubuntu. I am trying to follow this utility. I installed ffmpegthumbnailer using apt, followed the rest of the tutorial using Jaunty, when I go to compile it says ffmpegthumbnailer ins not there. I installed it anyway and now I get the error "ERROR: /usr/share/mediatomb/web : 20 x No such file or directory"